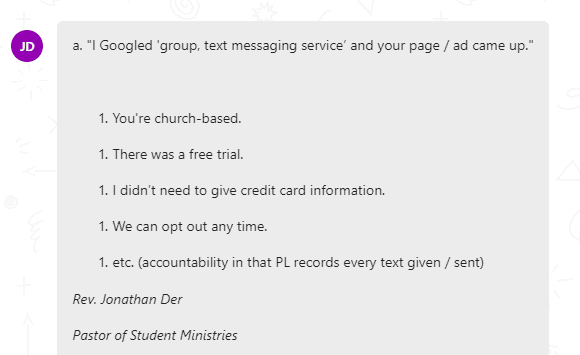 A friend told me about another program they use called "Text in Church" when I started researching it I came across Pastors Line and I liked the pricing and set-up better. 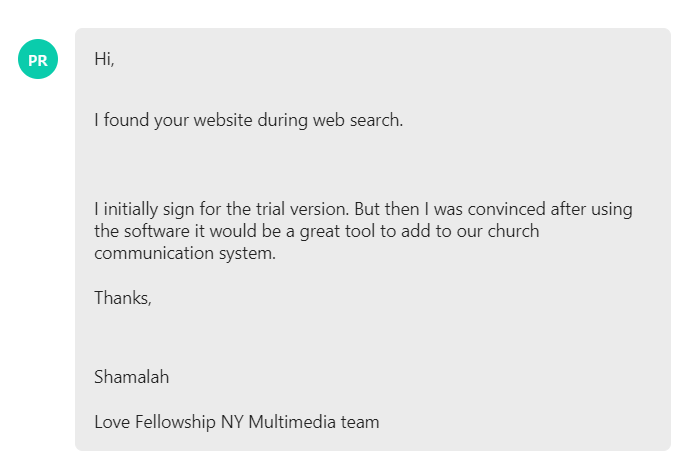 was convinced after using the software it would be a great tool to add to our church communication system. I needed a solution of a way where I can have people’s names in a data system and also where I can send out a mass text to the whole group. This had everything I needed. Pastors Line has it all. Thank you for creating this for all to use! Found via CCB. Chosen by demo via webinar; CCB integration; ‘sign now’ bonus credits. 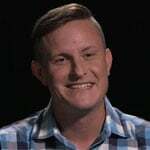 Found PastorsLine on Facebook. Wanted a cloud-based messaging system. Googled ‘group, text messaging service’. 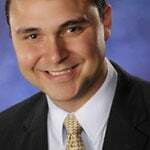 Liked free trial; integration with Fellowship One & Planning Center. Googled ‘simpletexting’. 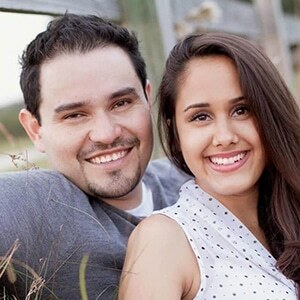 Liked easy sign up, local area code, and real-time free trial. 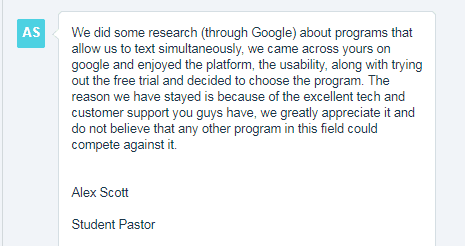 I finally signed up because the price is right, the interface is easy to use, and we wanted something with a decent trial to make sure not only did we enjoy the service, but that it was beneficial to our church as a whole. We also liked the functionality and flexibility of what you offered. 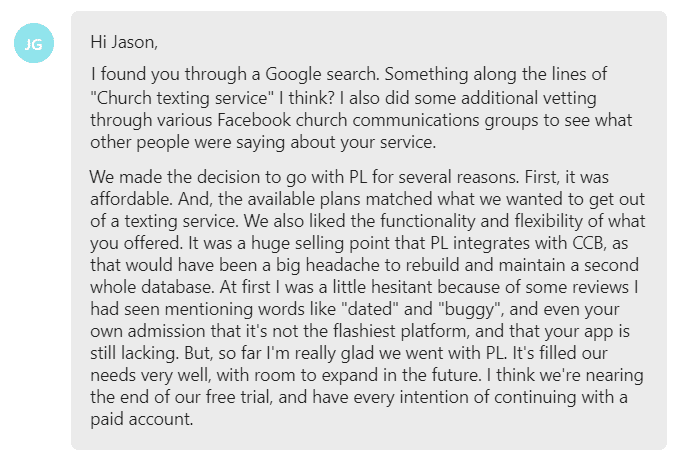 It was a huge selling point that PL integrates with CCB, as that would have been a big headache to rebuild and maintain a second whole database. Saw on Facebook. 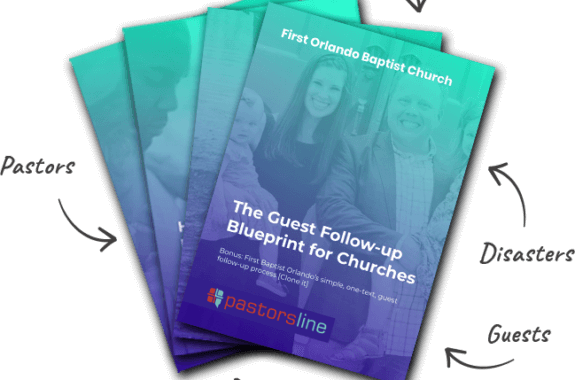 PastorsLine looked like just what they needed. 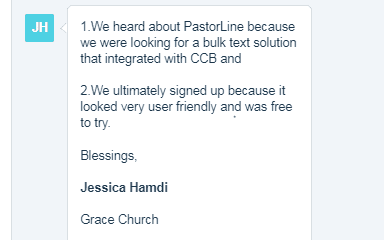 saw that you integrated with Church Community Builder, so when our need for a text system came up I looked into what you offer. 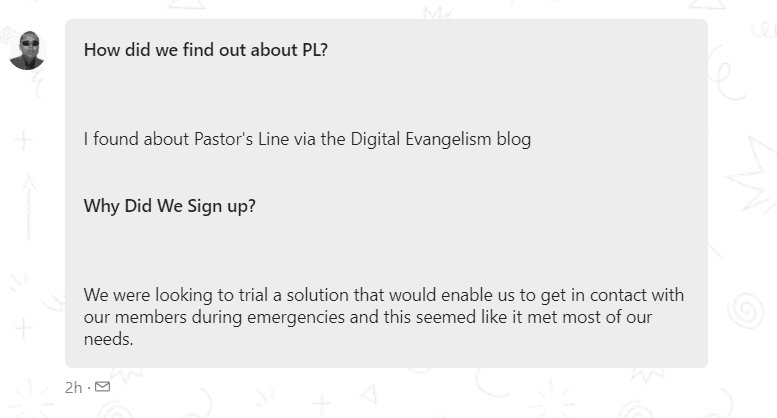 Your service is helping people to sign up for baptism, get connected to the group life and studednt ministry, engage and get questions about navigating our Church and Christ and so much more! Recommended by friends. Signed up because: more comprehensive, right price, smarter system. Liked that the competitive price included a CCB integration. the tiered pricing and flexibility to add credits and change levels. I ultimately signed up because I compared it to the other services available and I felt like it stood above them for multiple reasons… customer service, price, and features. 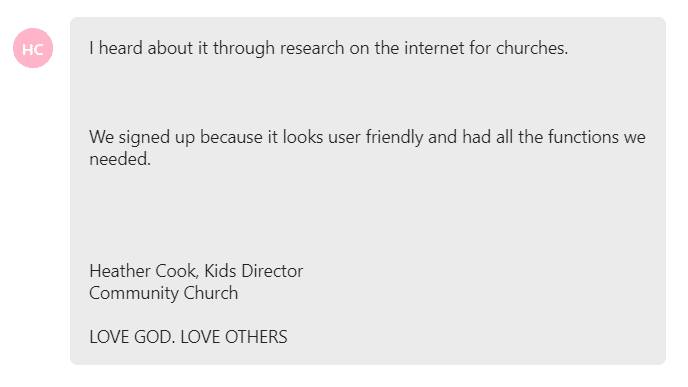 Likes: good response to texted survey link; high turnout to worship following texted reminders. The option of having the smaller package sold us on the deal so we signed up. So far we like it. 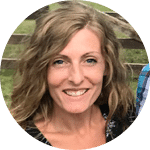 What helped us ultimately go for the full paid version was the ease of use, the integration with PCO and the awesome support provided to all of my questions. 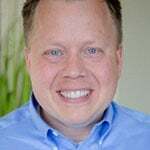 I read about your service on a FB group and I was looking for something to integrate with PCO. Found via CCB webinar. Game changer: importing numbers from CCB. 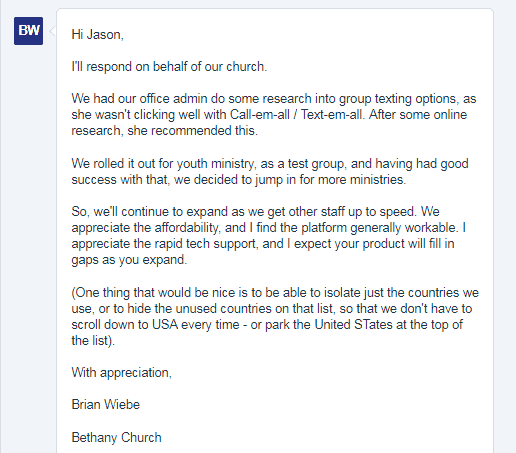 Ultimately, I signed up because I think your services are exactly what we need as a church. I like the myriad of options available. It sure made it easier that I could drop out at any time. We signed up with you over others because we are a multi-generational church and you have an ability to reach people on landlines. The trial was GREAT and so are the pricing options. Another aspect is allowing multiple keywords! Lastly, your online chat feature for questions/support was great. Customer service was A+! 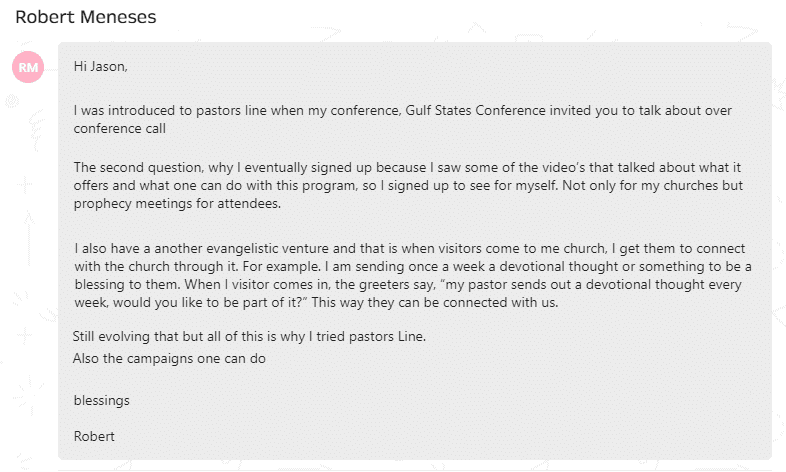 I heard about PastorsLine through watching a YouTube video on digital evangelism. The person mentioned pastorsline. Recommended by Pastor. Seems easy to use. 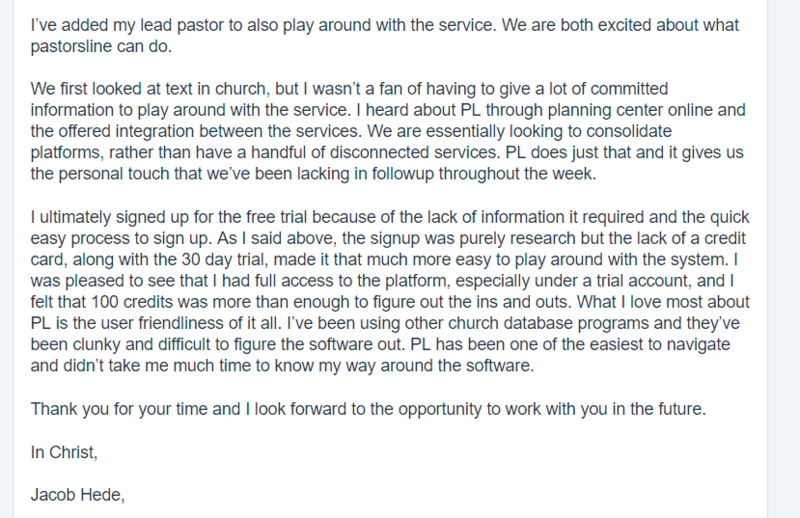 I saw your dedication to improving the product and excellent attention to detail in how churches would use the software. 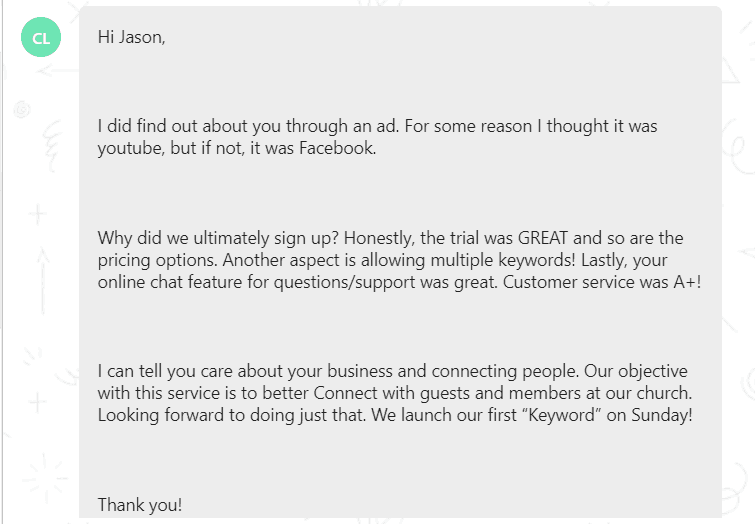 the main reason we signed up was there was a free trial, and it was easy to do so. Googled ‘simultaneous texting’. Liked the platform, usability, and free trial. Stayed due to excellent tech and customer support. friend who saw it on Facebook... plan to sign my church up. It’s pretty easy to use. 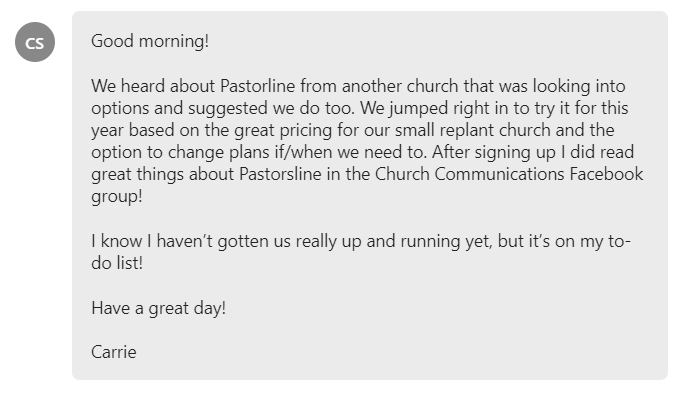 great pricing for our small replant church and the option to change plans if/when we need to. 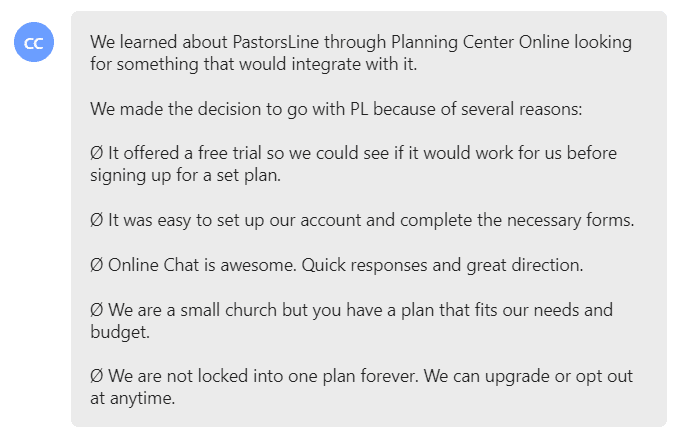 We learned about PastorsLine through Planning Center Online looking for something that would integrate with it. 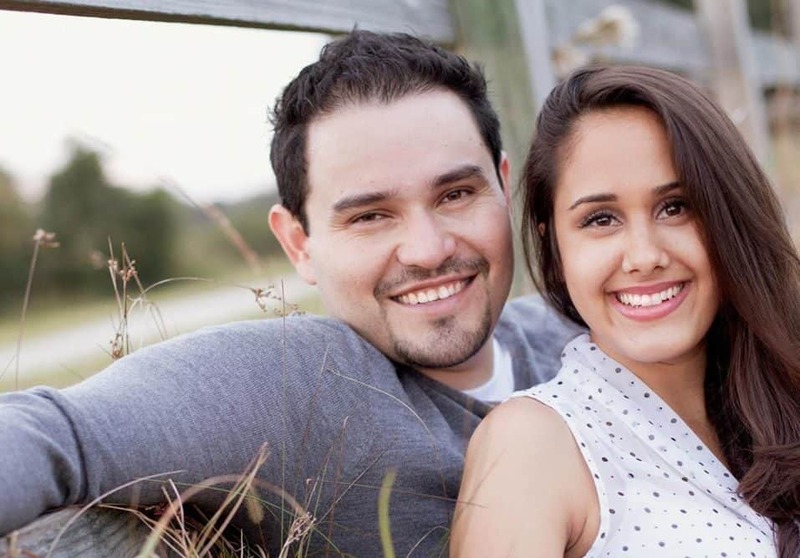 We are a small church but you have a plan that fits our needs and budget. Googled it. Chosen for integrations with Fellowship One, Planning Center, and Mailchimp. 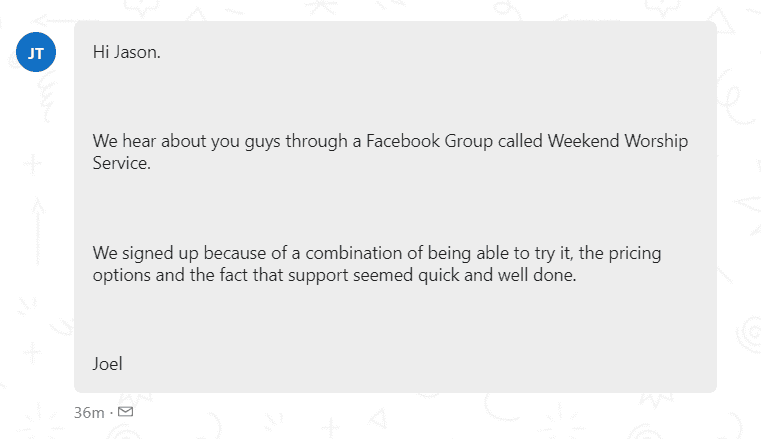 Searched ‘texting tools’ in the Facebook group. Liked lower cost and CCB integration. signed up because it looks user friendly and had all the functions we needed. I wanted to let you know that the more I drive to PL the more I love it! Found out via integration with Planning Center Online. Chosen for free trial and quick, easy, sign-up process. 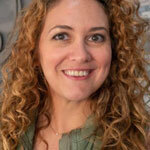 Game changer: user friendliness of system. 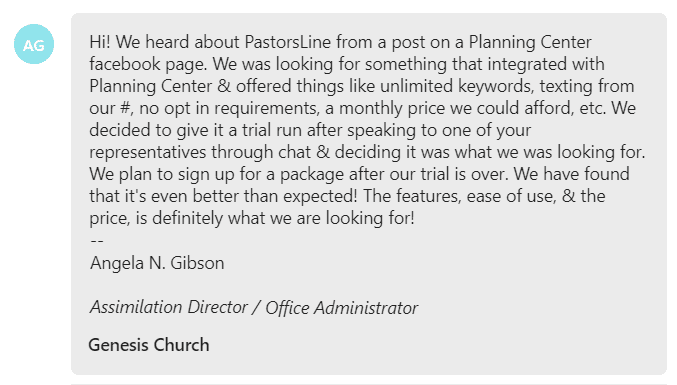 In comparison to competitors, PastorsLine has: user-friendly interface, free trial no cc required, group msg keyword selection unlimited. 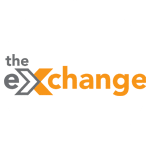 It has been a great tool for volunteer recruitment and for connecting people to small groups and small group events. Chose due to no-risk, free trial. Like the CCB integration. Found via Facebook group. 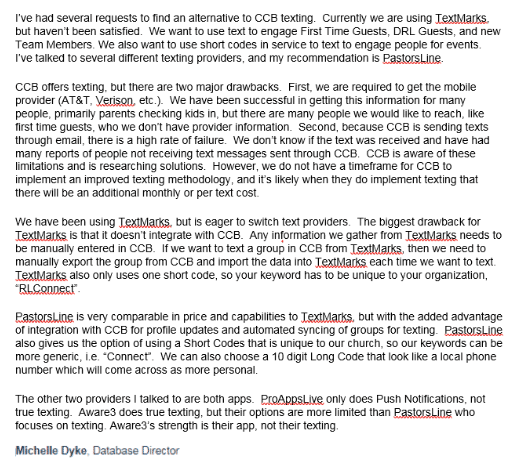 Liked free trial; bulk texting integration with CCB; pricing; analytics and campaigns. people walk in with a big smile on their face and tell us they got our birthday message and how much it means to them that we made an effort. It’s obvious this is helping us connect with people on a more personal level. 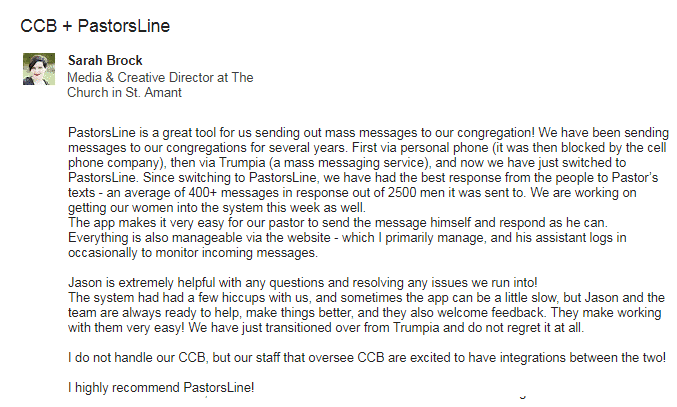 Likes: high response rate; easy to send msgs; CCB integration; helpful customer support. Thank you for doing this amazing platform!!! 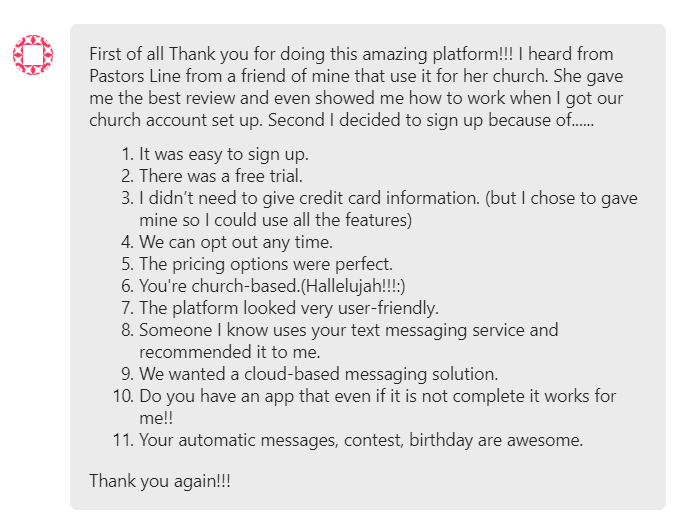 I heard from Pastors Line from a friend of mine that use it for her church. 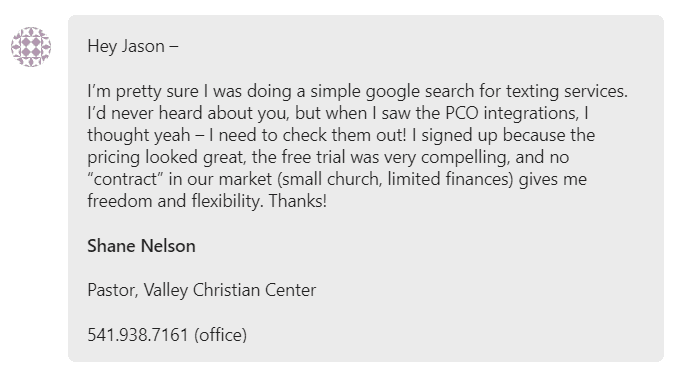 She gave me the best review and even showed me how to work when I got our church account set up. Found via online research for group texting options. Likes: affordability, rapid tech support. I’d never heard about you, but when I saw the PCO integrations, I thought yeah – I need to check them out! Recommended by a staff member. 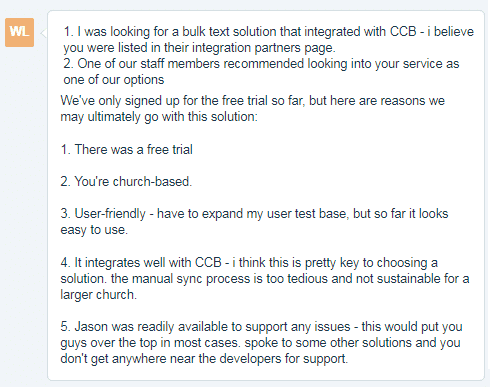 Liked bulk text solution which integrates with CCB; free trial; user-friendly; great customer support. Liked the simple guest connection card so names and contact info don’t fall through the cracks. Heard via CCB. Liked the free trial and integration with CCB. Suggested by staff member. 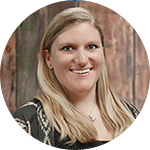 Game changer: CCB integration for Mail Chimp. Recommended by CCB. Game changer: CCB integration means they can use groups they already have. 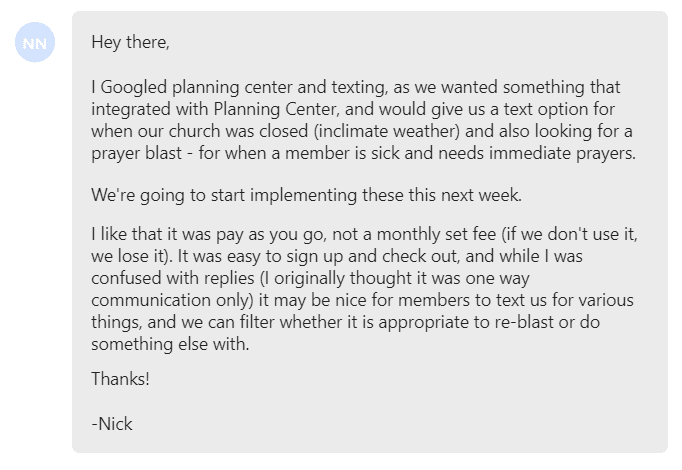 I ultimately tried your service out because of the trail and integration with planning center. Wanted bulk text solution with CCB integration. Liked free trial and user-friendly. 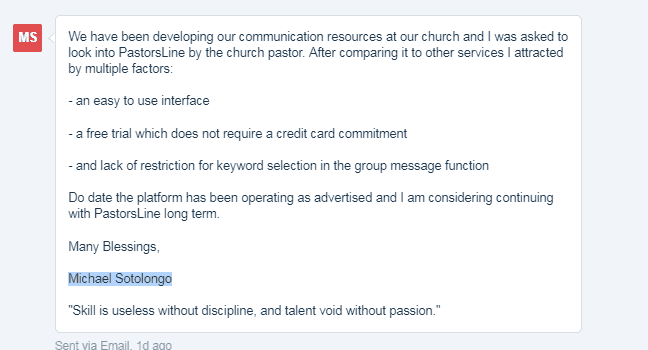 I heard about Pastorsline from a friend who is using text in Church but is considering switching. 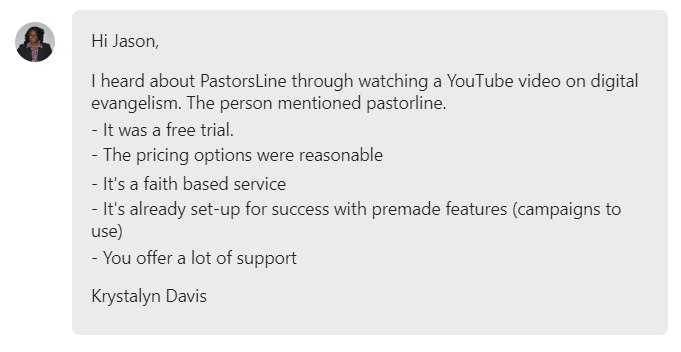 After reseraching both services, I chose Pastorsline because of the price poin and features offered. 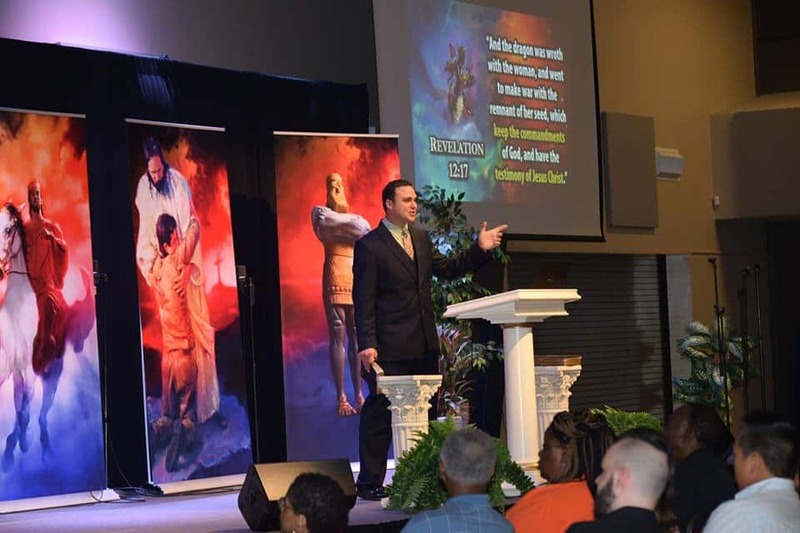 The price was a lot better for Pastors Line and the free credits that were available also encouraged me to sign up. I ultimately chose PL because of the direct integration with PCO and the ability to do voice messages in addition to texts. We have found that it's even better than expected! The features, ease of use, & the price, is definitely what we are looking for! 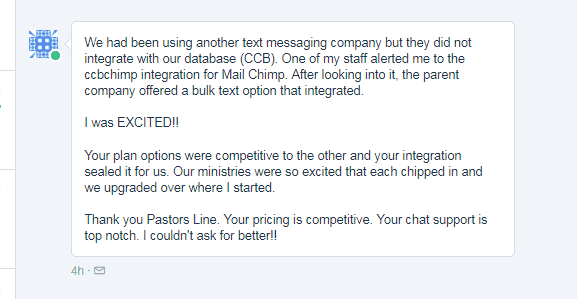 The PastorsLine platform is a church-driven, bulk texting platform developed and managed by church ‘insiders’. 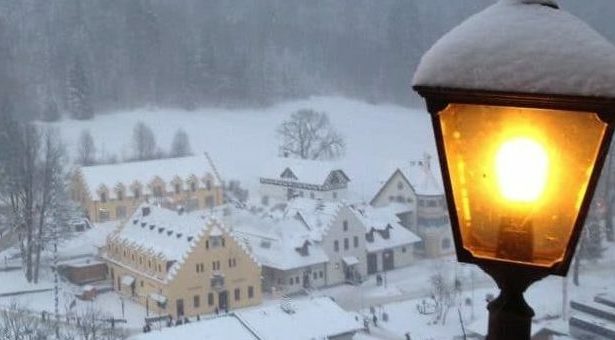 We know churches intimately. We’ve attended them, been part of their management teams and worked with them for many years. 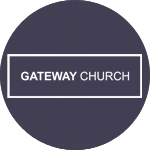 Our goal is to serve you by helping you spread the Good News of Jesus Christ. We’ve positioned ourselves to be your in-house, IT team for solutions to your communication issues. In addition to everything our platform can do, our partners love our responsiveness to their needs and fast tech support. 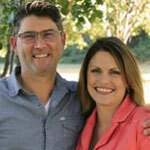 The personal and almost immediate assistance at [PastorsLine] is so great! We feel valued and important! We love that it is church-based!!! 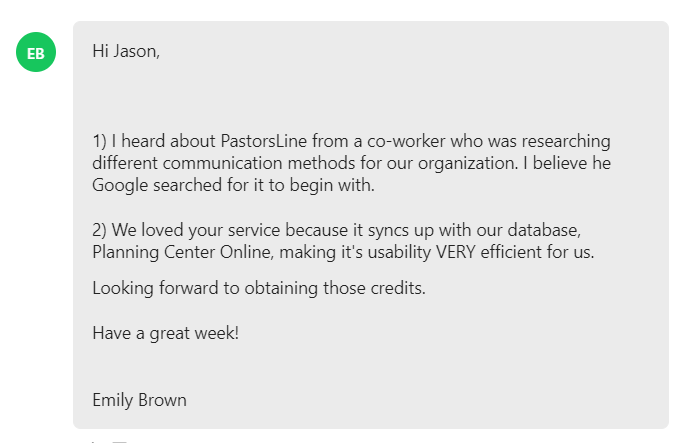 … Jason and the team at [PastorsLine] are always ready to help, make things better, and they also welcome feedback. Sending and receiving texts from our landline number is the #1 feature that ensures visitors and members can engage with us on the most relevant means of communication there is right now. Having one number to advertise, simplifies all graphics, ads, announcements, etc. for us, as well as for those we're trying to reach. 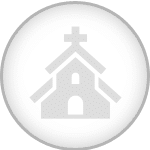 I use PastorsLine EVERY DAY. It's changing the way we engage with our members - it's both easier and more effective. 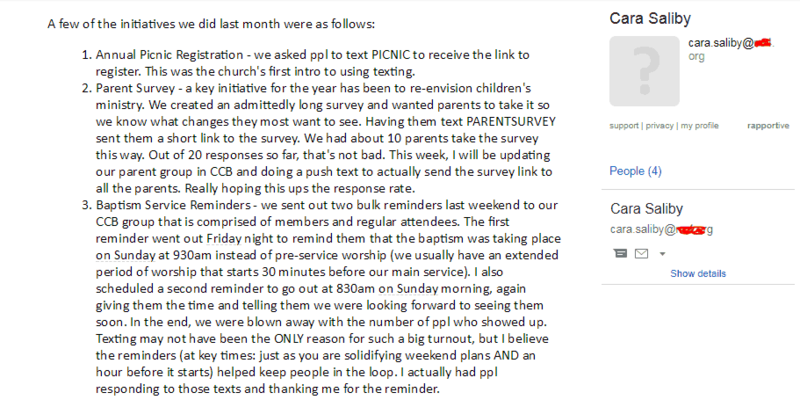 "Baptism Worship Service Reminders - bulk texting—we were blown away by the number of people who showed up." At first, the landline feature seemed like it would overload the church secretary since everyone would have the church phone number saved in their phones. This has not happened! People are simply interacting with our events better than ever before! We love the landline feature. It’s honestly the best feature that we have utilized. Being able to give one phone number for voice and text simplified our process. The land line is more familiar with our congregation. When we texted from the other number, some would inquire about who was sending the text as the number was unfamiliar, and we did not use it frequently, so by the time we sent another text, some had forgotten the number. 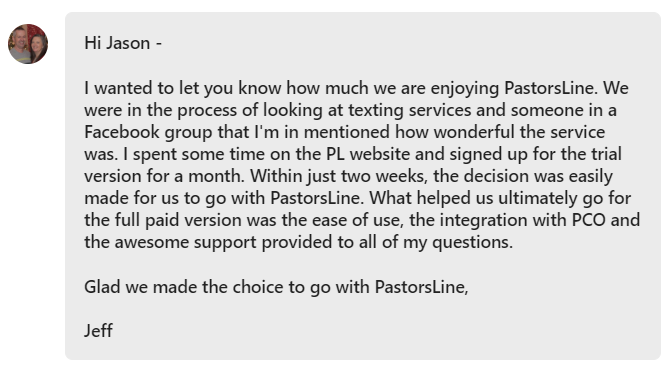 For us [a PastorsLine text-enabled church landline] has been huge for people to be able to text the number they already knew for our church. It means they don’t have to remember two different numbers when they are looking to try and get in touch with us. Most people don’t even realize its mostly an automated process. I honestly never realized how many people must have been trying to text our landline all along! 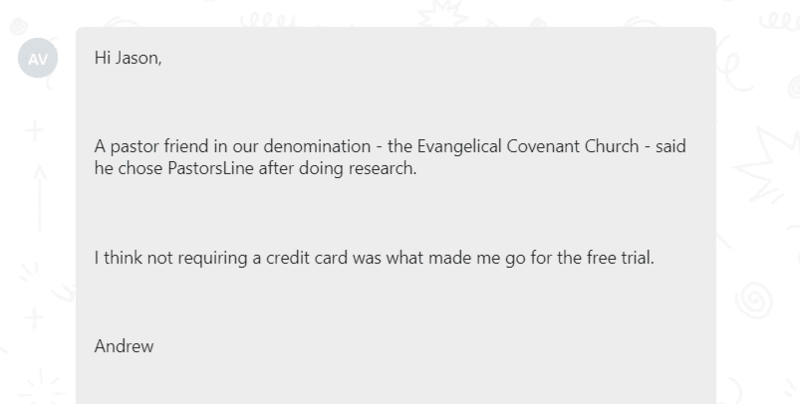 We never advertised our landline as a number you could text, but we have gotten multiple members of our congregation and even guests from some of our events to send us texts saying, ‘Thank you for this and that’, and it has been really great to see! ““...the guest connection card...We had a great response -- people whose names and contact info we might not have captured otherwise. Our autoresponder directs them to our Welcome Center...where we have a gift...with their name on it." 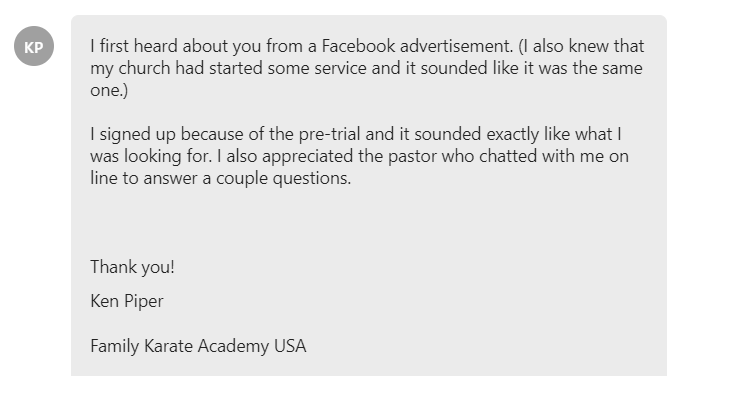 I belong to a Church Communications group on Facebook, and you were highly recommended. 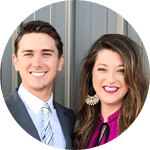 We signed up with you over others because we are a multi-generational church and you have an ability to reach people on landlines. By using the same phone number for texting and calling you get people to remember your phone number. When it comes the time that are ready to reach out to us they know the phone number.